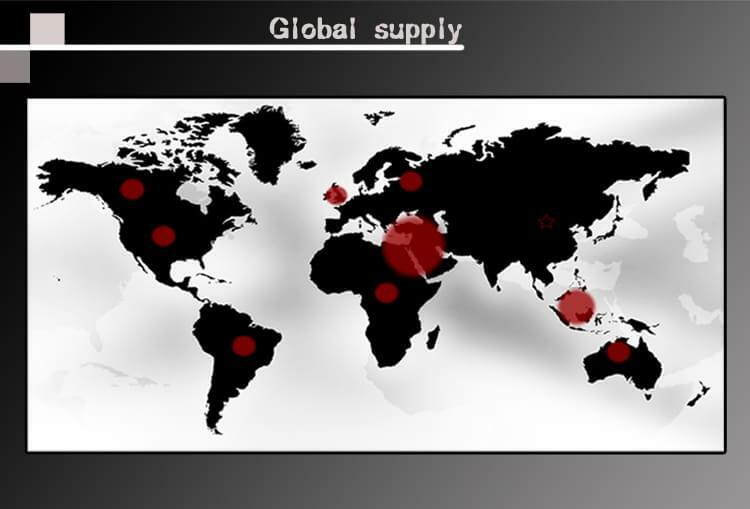 Luoyang Ruowen Trading Co., Ltd is professional in exploiting, producing and selling microsilica (silica fume). 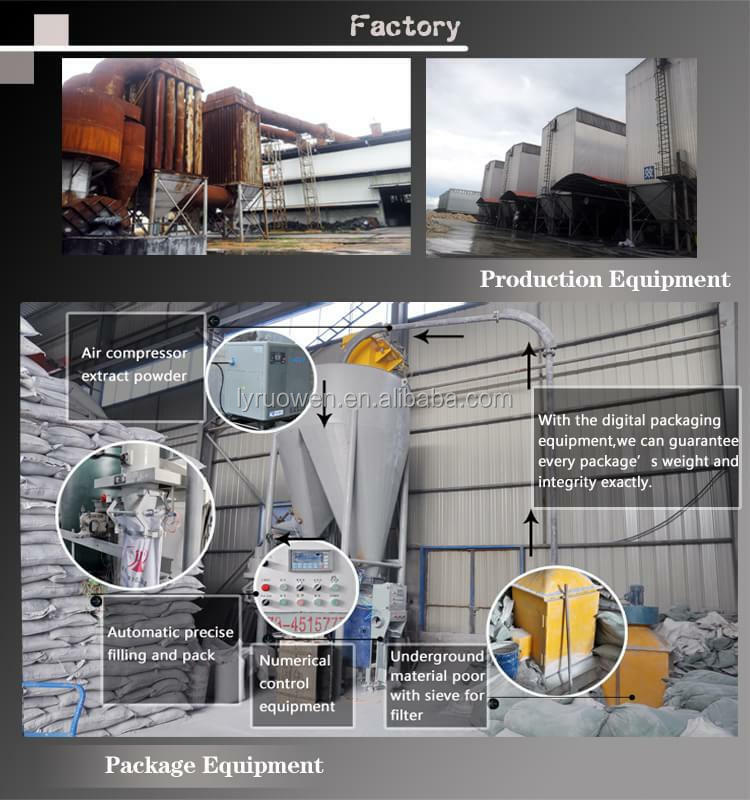 We built up our own producing and processing factories in Anhui, Qinghai and Yunnan Province, and have 4000 tons production in one month. We provide high quality product with low price. 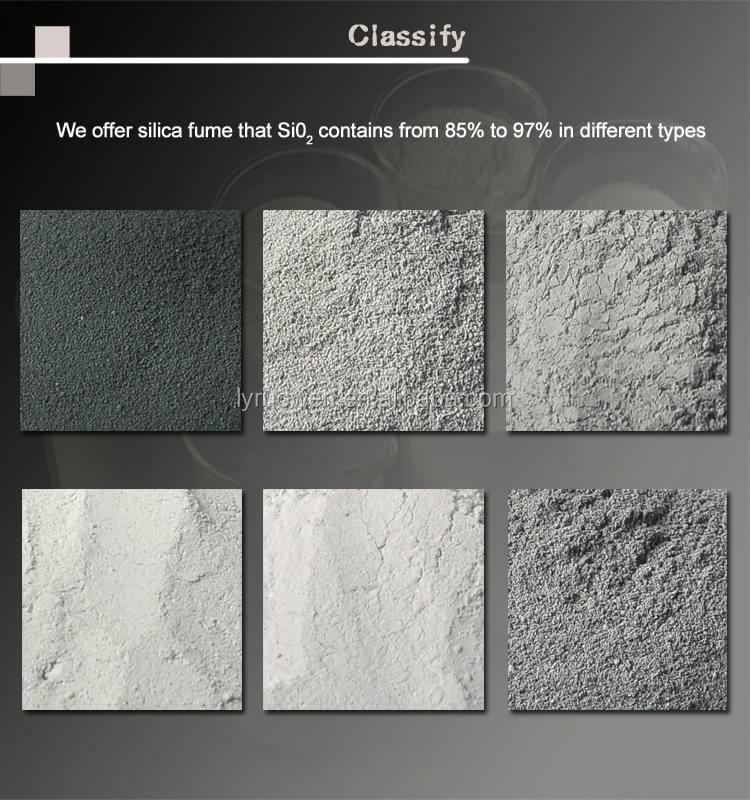 Microsilica fume (scientific name "silica fume," Microsilica or Silica Fume), in the smelting of ferrosilicon and industrialsilicon, silicon through the flue gas emitted by steam oxidation, the specially designed filter collected the amorphous powder like silica (SiO 2).Microsilica fume average 0.1-0.15 μ m in diameter, the size of several cement average 1.0%. Surface area for the 15-27 m 2 / g, with strong surface activity. 7. Resistance to Sulfur and Alkali attacks. It is used best for Insulation properties in Commercial and Residential Infrastructures, such as: Damns, Bridges, Power projects, Transmission Projects, Railways, Canals, Flyovers & Bridges, Highways and Airports, Industrial floorings, Used as admixture for waterproofing, etc. Very low permeability to chloride and water intrusion. Extremely high electrical resistivity( 20 to 100 times greater than ordinary Concrete). Increased abrasion resistance on decks, floors, highways and marine structures, Superior resistance to chemical attack from chlorides nitrates and sulphates. Compressive strengths up to 20000 psi ( 140Mpa ). High flexural strengths(14 Mpa @ 28 days) for airport pavements. 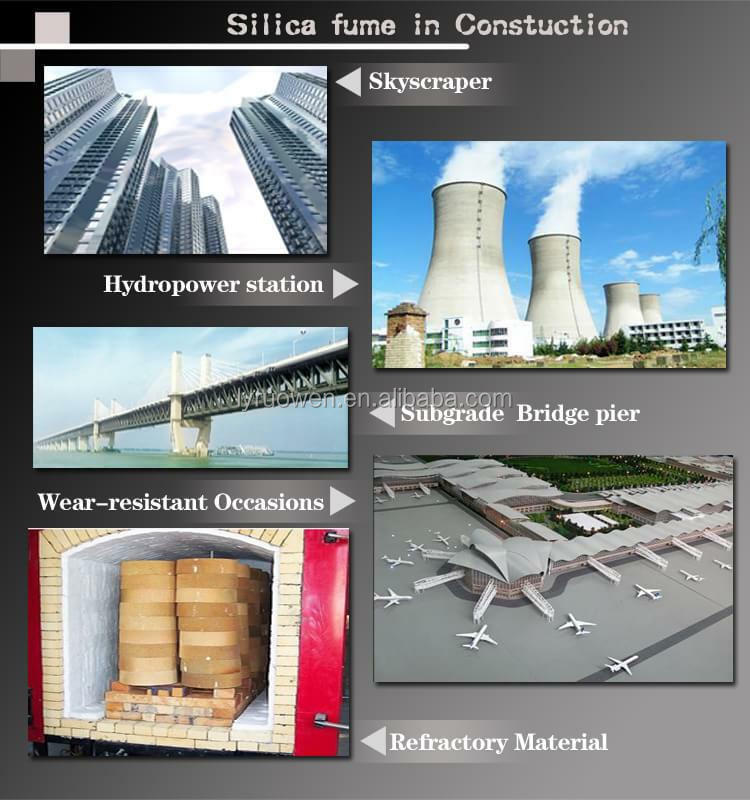 High early strengths for fast track construction projects and precast applications, Highway bridges, parking decks, marine structures and bridge deck overlays are subject to constant deterioration caused by rebar corrosion current, abrasion, chemical attack. Silica fume will protect concrete against deicing salts, seawater, road traffic and freeze/thaw cycles. Rebar corrosion activity and concrete deterioration are virtually eliminated, which minimizes maintenance expenses. 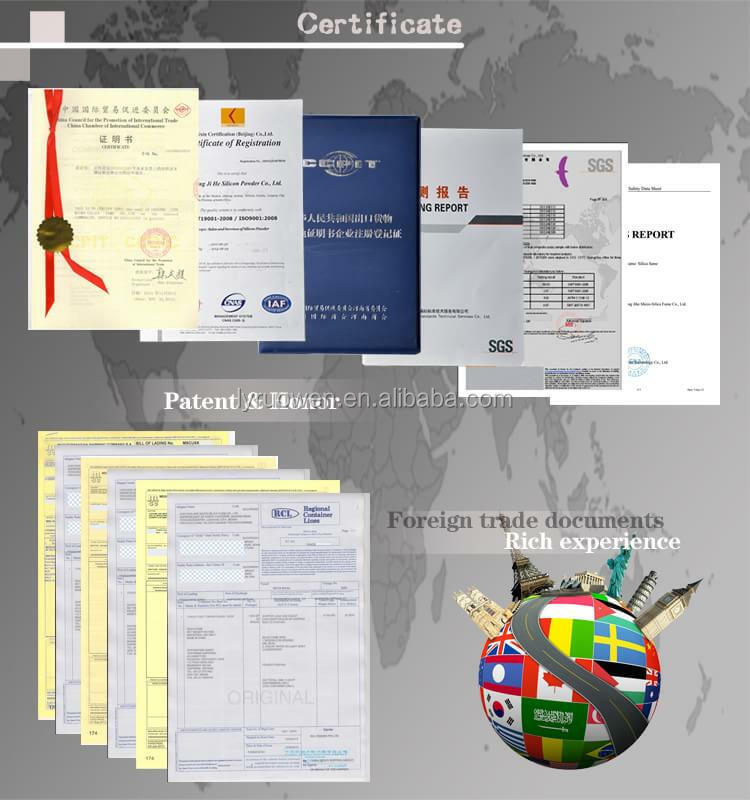 Certification available: Yes-SGS, ASTM-C1240 etc. Packing Detail: 900kg/jumbo bags and 300-500kg/jumbo bags, and 25kg small plastic woven bags, or according to customer's requirements. Shelf life when stored in dry warehouse conditions above 2°C is unlimited. Our products high meets ASTM1240, SGS , SO9001, tc stardards. Because specialty, so we confident, because confidence, so we successful. We will serve you wholeheartedly. 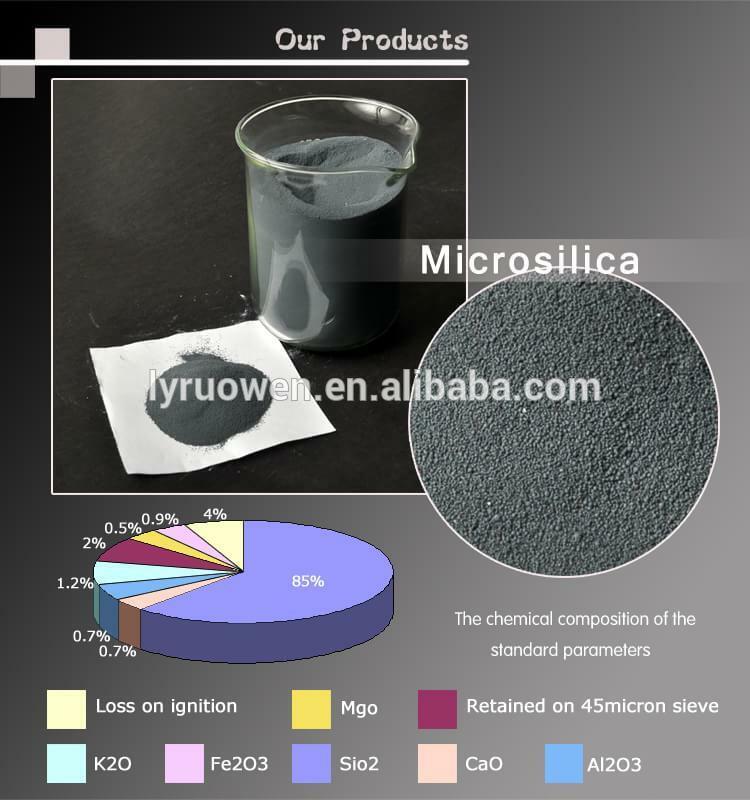 Any question or interest about our microsilica fume for CIF KUWAIT , please feel free to contact us. It's our honor to provide any help and support your business.